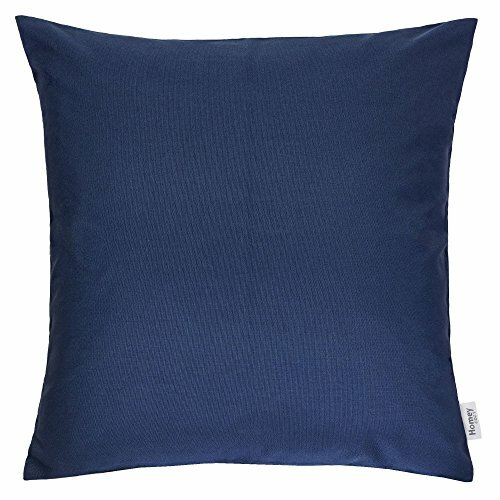 Homey Cozy Outdoor Pillow: The Homey Cozy Outdoor Pillow is a bright and captivating outdoor throw pillow that will help you turn your indoor or outdoor space into your favorite part of your home! The bright and vibrant colors add life to any area around or inside your home to create a comfortable and inviting atmosphere.This throw pillow is a great addition to any indoor or outdoor furniture, and will allow you to express yourself through your living space.These collections comprise of textiles that are soft as well as fashionable and trendy to transform your outdoor space into an extension of your home. Variety Classic Soild | Brighten up your backyard ensemble with this outdoor throw pillow, available in a variety of vibrant hues that add a pop of color to any arrangement. Weather Resistant | Add some color to your patio set with these water resistant outdoor pillows. Made out of 100% Solarium Polyester fabric, it is mold and mildew resistant as well as fade and stain resistant. Skin Friendly | Even with the protective coating, the outdoor pillow covers still feel nice and soft to make for incredibly cozy lounging out on the patio or indoors. Easy Care| Through use the zipper, the pillow covers can be quickly and easily removed for cleaning purposes when needed. machine wash or hand wash fabric with mild detergent, do not bleach, then let air dry. If you have any questions about this product by Homey Cozy, contact us by completing and submitting the form below. If you are looking for a specif part number, please include it with your message.